Don’t be fooled: imitating the picks of famous stock pickers is a road to retirement ruin. I get it: gurus like Warren Buffett, Dan Loeb and Ken Fisher are the cream of the crop. Too bad the big cash wads these guys toss around limit them to the lamest dividend investments. And you can bet almost all of them are missing out on one stock that’s paying a lucky group of investors an incredible 32% dividend! Let’s dive straight into why following the pros’ lead is a big mistake. Then I’ll give you three ridiculously cheap stocks to grab for massive dividends—before their prices take off into the stratosphere. And yes, I’ll unmask that amazing 32% payer along the way, and show you how you can grab a piece of that action yourself. The first problem with mimicking celebrity hotshots? They’re almost always hunting for quick hits—jumping on a hot sector or stock dialed in for a fast gain. Notice I said gain: the big fish put a stock-price surge at the top of their list. Six pay no dividend at all. The remainder dribble out a pathetic 1.8%, on average. So we can forget about looking to the pros for income. Now let’s look at gains, because here’s something most people don’t know: by the time we get our hands on the hotshots’ latest picks, they’re way out of date. That’s because no one gets a peek at them till 45 days after the end of the quarter in which they were bought. Those are the rules governing Form 13F, through which institutional investors must report their holdings to the SEC. 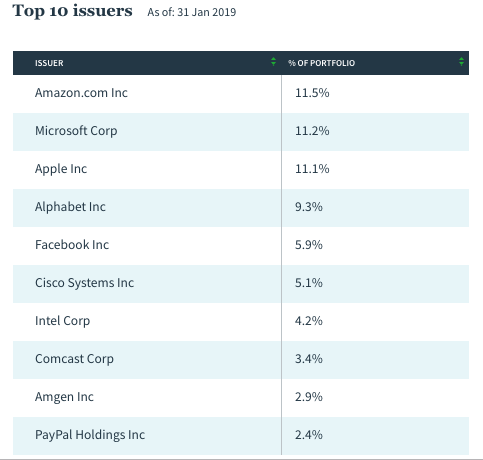 This would have been a big problem if you jumped into the top managers’ favorite tech stocks around the middle of February, when the latest 13Fs came out. 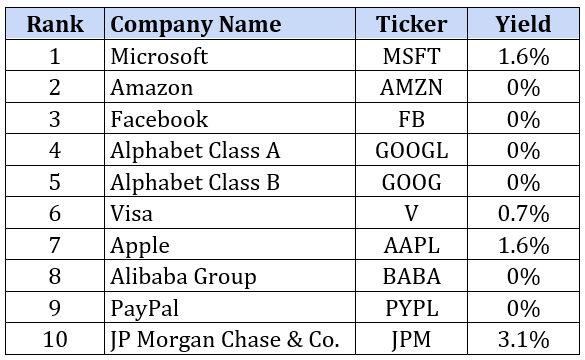 By then, the tech sector had already booked 75% of its year-to-date gain! But this doesn’t mean we should ditch tech entirely. Truth is, these companies are sitting on some of the world’s biggest cash piles. Those will only grow as they let loose earth-shattering megatrends like artificial intelligence. And even though tech and finance have soared, both sectors are home to three bargain buys throwing off massive dividends, too (including the 32% payout I mentioned off the top—we’re almost there)! High-Dividend Play No. 1: A 7% Payout From … Google!? Remember that chart of the hedge funds’ most popular stocks I showed you earlier? I’ll save you from scrolling up. Six names on the list are Amazon.com, Microsoft, Apple, Alphabet, Facebook and PayPal. 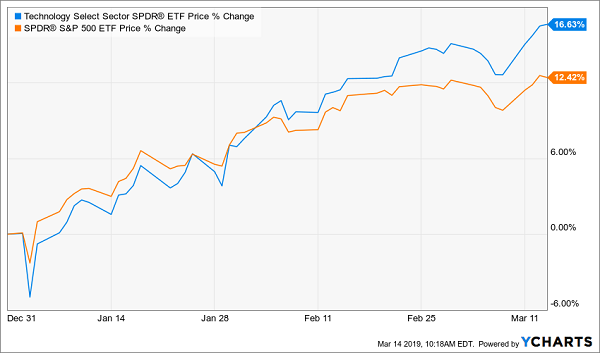 If you’re a member of Contrarian Income Report, you might remember QQQX: we held it from January 2017 till April 2018—just 15 months—and rode it to a hefty 42% total return in that time. 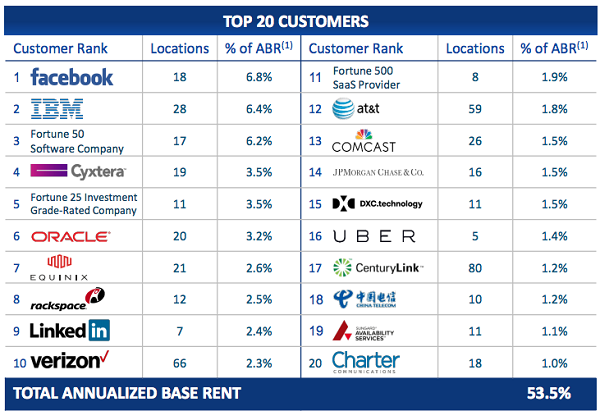 Today this fund is a terrific alternative to big-name (but low-paying) tech stocks. To generate that big payout (and smooth out volatility), QQQX sells call options on 35% to 75% of its portfolio. Here’s the best part: the fund trades at a 0.76% premium to its net asset value (NAV, or the underlying value of its portfolio) today. I don’t normally recommend CEFs priced above NAV, but this premium is a discount in disguise: it’s averaged 4.7% in the past year and has shot as high as 18.1% in that time. That’s right: investors will pay up to $1.18 for every buck of QQQX’s assets! The upside and income waiting for us here are obvious. Now we’re going to trade our miserly “regular” finance stocks for another CEF: the Cohen & Steers Limited Duration Preferred & Income Fund (LDP). LDP owns bank stocks, but not “regular” bank stocks. Instead, it holds banks’ “preferred stocks,” which throw off way more dividend cash. So by spending about a minute in your online brokerage account, you can exchange the regular shares of banks like JP Morgan for LDP and start tapping the fund’s 7.8% dividend (paid monthly, no less). LDP’s 3.6% discount to NAV makes it fourth-cheapest among its 16 preferred-stock-CEF cousins today. That hedges our downside as we enjoy LDP’s massive payout and tees up further gains as the discount swings to par—inevitable, in my view, in the next 12 months. Now let’s swing back to tech, and my favorite way to squeeze miserly big-caps for big payouts (up to 32%! ): buy their landlords. The best way to do that is with a real estate investment trust (REIT) called Digital Realty Trust (DLR). You’re probably wondering how a stock with a current yield of 4% could ever give you an outsized 32% in cash every year. 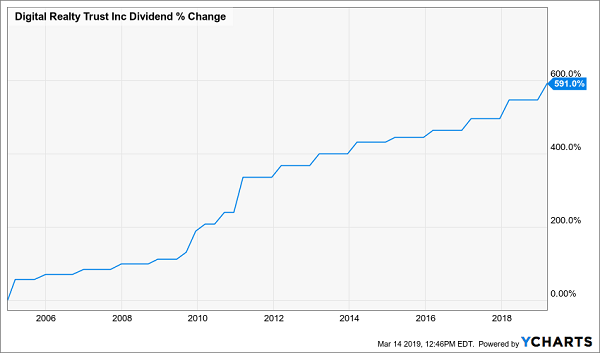 To answer that, we need to look at the real story here: dividend growth. DLR’s dividend skyrocketed 591% since its IPO 14 years ago. In other words, if you’d bought then, you’d be getting an amazing (and safe) 32% yield on your original buy today! How can I say this dividend is safe? I expect the chart for the next 14 years to look like the chart for the last 14, so, like the folks who bought in 2004, you’re looking at a massive double-digit payout if you buy now and hang on for the long haul. That brings me to the second reason I love this payout: it’s backed by strong funds from operations (FFO; the go-to cash-flow metric for REITs), with core FFO jumping 7.5% in the fourth quarter. Add in the fact that the payout eats up a modest (for a REIT) 65% of FFO and you get a recipe for more hikes. The kicker? DLR is cheap, trading at 17.4-times FFO! Don’t wait to grab this one. What if I told you that you could start collecting a safe double-digit payout right now—not years down the road, as you’d have to do with a stock like DLR? You can do just that with another ironclad payout I’m pounding the table on now. This cash machine—which you can bet turns up in zero celebrity investors’ portfolios—pays a life-changing 11.8% dividend today. The return here is clear as day: if you put, say, $100K in this off-the-radar pick, $11,800 would boomerang straight back to you in CASH every year. You’d recoup your entire investment in dividends alone a bit more than 8 years from now! This dynamic company is just one of 6 off-the-radar stocks in my 8% “No-Withdrawal” retirement portfolio. As the name suggests, this stout collection of income plays is built to hand you a safe 8% average dividend, year in and year out. This powerful portfolio is waiting for you now. Click here and I’ll give you the full tour of these 6 income wonders: their names, tickers and a close look at the huge cash flows that backstop their astounding dividend payouts. Category: Dividend Stocks To Buy?